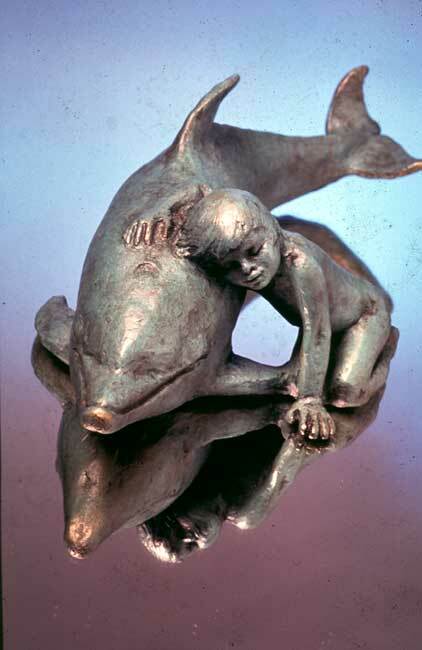 Boy and Dolphin Bronze Life size Bronze Sculpture Created from Actual Photo: By Amaryllis Bataille Lyon France, 1992. 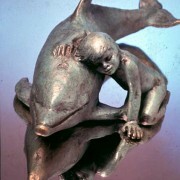 Landowski Founduer Paris. Intended for the reefs of the Turks and Caicos Islands to commemorate JoJo’s existence.